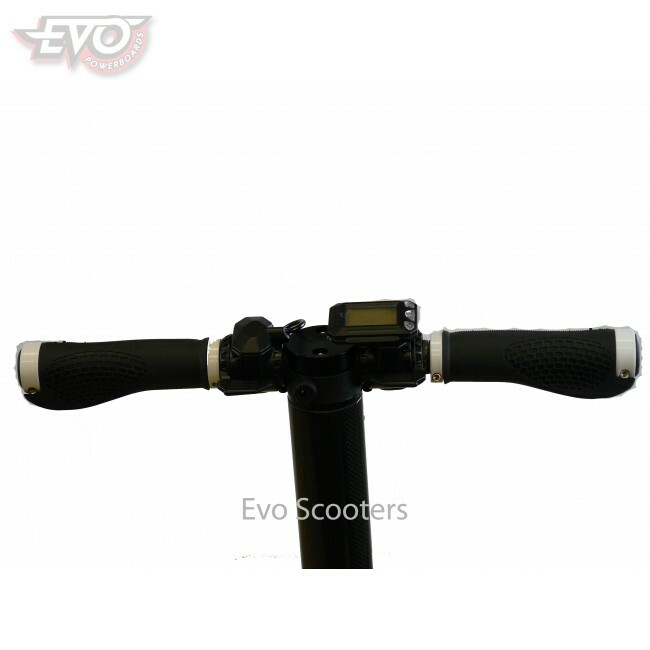 EvoMotion EvoLite Carbon - The coolest, lightest scooter in the World! 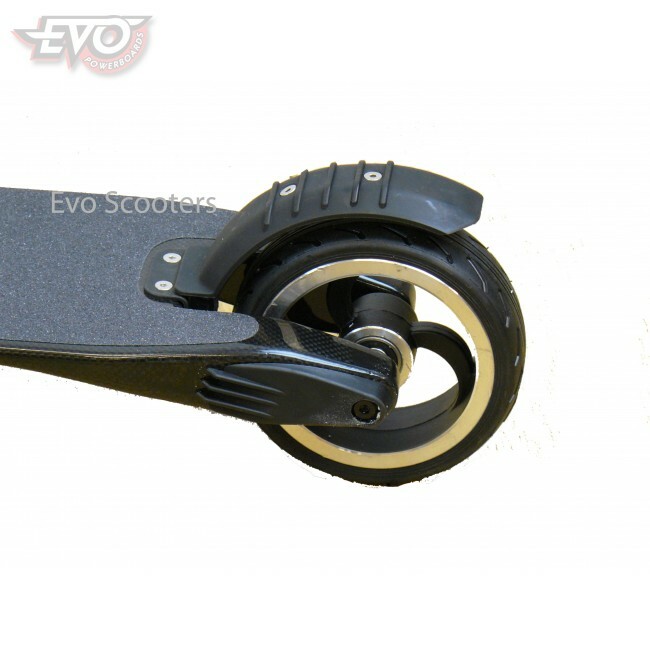 Weighing in at just 7.5 Kg and with a carbon fibre structure that is 5 times stronger than steel, the cutting-edge EvoLite is the perfect electric scooter for urban commuters. With a specified maximum loading of 100 Kg, the EvoLite is solid despite its stylish ultra slim deck thanks to its high-quality carbon fibre build. 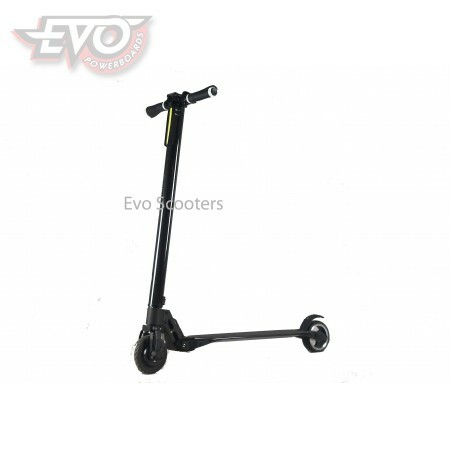 Using a 24V 10Ah lithium Ion smart battery and fitted with a powerful 250W high-torque brushless motor, you can be assured that this advanced scooter will get you there in style. 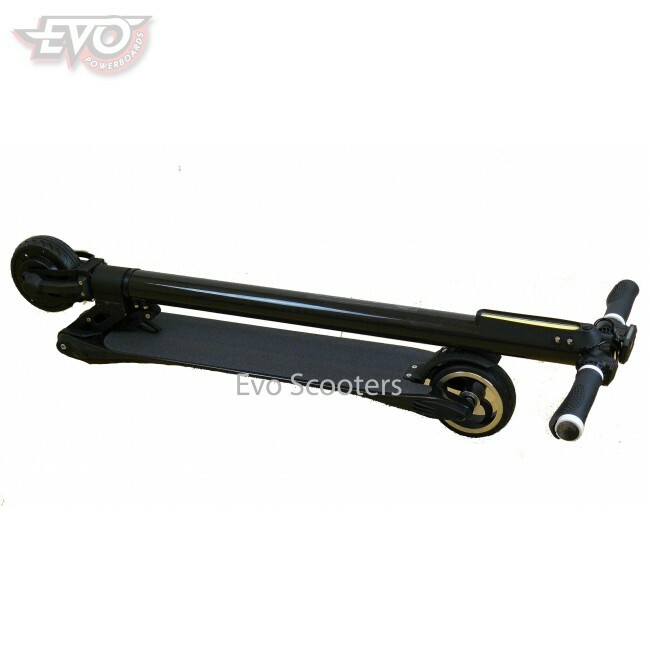 EvoLite's easy-fold function makes it unbeatably convenient. With a simple pull on the release lever, the stem of the EvoLite folds down effortlessly. When folded the EvoLite is very compact and can easily fit into any bus or train without obstructing fellow commuters. EvoLite's built-in intelligent display allows you to keep track of your journey effectively. It's also no slacker when it comes to performance either, being capable of up to 20 km/h and up to 35 km depending on load and terrain. 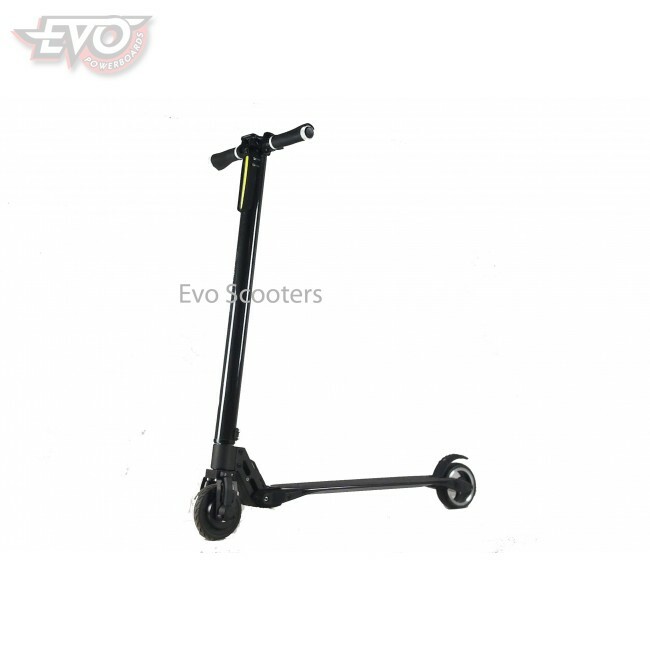 The high-specification of this top-of-the range scooter is complemented by a powerful LED headlight, front electronic brake, foot-operated rear brake and wear and impact resistant 5.5" solid tyres. Some assembly is required including installation of handlebars. Prior to use the fuse must be installed, the battery charged and tyre pressures etc. checked as detailed in the manual.